WD®, a Western Digital (NASDAQ: WDC) company and a worldwide leader in storage solutions, and Milestone Systems, the security industry leader in video management software, announced today a partnership to deliver video surveillance solutions to businesses and consumers. 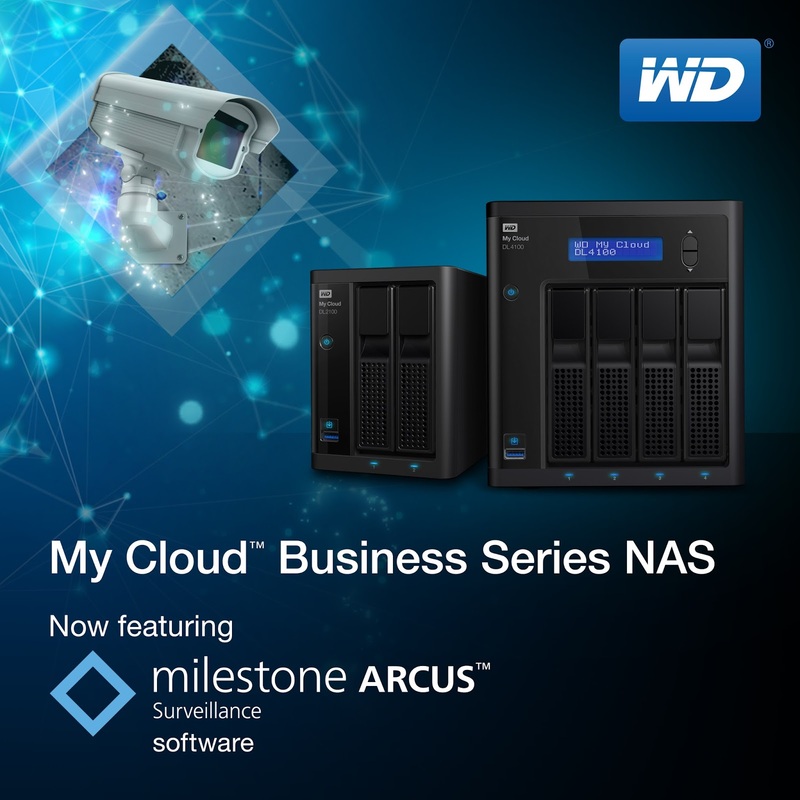 Milestone Arcus™ Surveillance software will be available on WD’s My Cloud® Business Series1 network-attached storage (NAS) systems beginning this month; and is expected to be available on other My Cloud systems, such as the My Cloud Expert Series, in the future. Milestone Arcus is a video surveillance platform designed to be embedded in hardware devices, such as compatible WD My Cloud NAS systems, to deliver customized, market-ready solutions. Integration of Milestone Arcus Surveillance software into My Cloud OS enables users to transform their versatile My Cloud Business Series NAS systems into networked video recording systems for their offices or homes. By simply downloading the Milestone Arcus Surveillance software through the My Cloud App Store, users can install up to 16 cameras, with the first two camera licenses free on My Cloud Business Series products. Additional camera licenses will be available at selected WD authorized distributors. WD’s My Cloud Business Series NAS systems are available through select distribution partners and resellers in Philippines.